Detectives investigating a serious assault in Lurgan on New Year’s Day have issued a fresh appeal for witnesses to come forward. 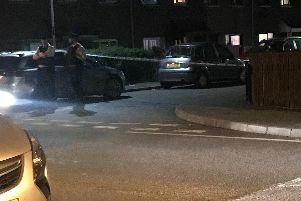 A 40-year-old man is still receiving treatment in hospital for injuries he sustained in the attack in the Union Street area during the early hours of January 1. “We know that he received assistance from four males to the rear of the college at Kitchen Hill sometime between 1am and 2am on the morning of the assault and we are keen to speak to those witnesses,” Detective Constable Sara Clements said. “We would also like to hear from a number of other people who were walking in the area between midnight and 1am, including a woman carrying a bunch of balloons and a male with a large sports/gym bag. “I would ask these individuals or anyone else with information to contact detectives at Lurgan Criminal Investigation Branch on 101, quoting reference number 269 01/01/18. Information can also be passed on anonymously via the Crimestoppers charity on 0800 555111.